John-He has a great feel, very personable, was a great experience and had a great time. Rick- I would recommend the BREW Crew for anyone wanting to improve their skills or just starting. Gary- I loved the class and the mountains. Matthew- I had a great time, THANKS for everything! Jack- I felt very welcome here at BREW. The class overall was excellent. 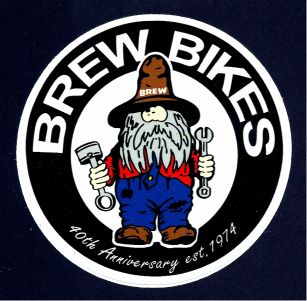 In addition to learning how a bicycle was built, I met great people at BREW that I hope to stay friends with in the future! Greg- Steve, keep it up. I think it is great what you do for other people. Thank You. Great experience, great people to teach you. Steve sure has a lot of patience! Marcus- Great week, learned LOTS! Dave-Very happy! Put my picture on the front! Josh-A great experience with an excellent instructor. Ken- Friendly, FUN, and nice atmosphere! Ben- I had a great experience and am really glad I came. Steve is one of the best in the business. Listen to him and you can't go wrong! Steven-I am bummed I have to leave! I had a really great time, not only learning frames from a great teacher but also the whole weeks experience! Chris- I had a great time. Rick- I already want to come back. Thank you very much! You won't find a more knowledgeable or friendlier person to learn frame building from than Steve. Bullet- Thank you for a great week! I had FUN! Bill- This class exceeded my expectations in every way from designing the bikes to enjoying Steve and Kim's company. I doubt there is any other framebuilding course that could be more in depth or more enjoyable, anyone considering building their own bike frame should call Steve Garn. Chris- I loved this class and I haven't been this excited about anything in awhile. Steve and Kim are both super awesome. If you have any interest in frame building this is the best investment you can make. Carl- Learned to build and get confidence to do it again on my own. I like how you tell about problems and mistakes from the past. Bob- Had a great time! Burnett-This has been a great experience. The info and knowledge that Steve shares is priceless. I will highly recommend the class to anyone interested in learning how to build a custom frame. Thanks for a GREAT WEEK!!! Jason- Had a great time! I learned a lot to build some more frames. Awesome class! True hands-on experience! Highly recommended to anyone wanting to learn how to build frames. Adam- I learned all fundamentals of framebuilding to hopefully make my career. This has been one of the best experiences of my life and I hope to be successful with my business. Grant- Great time!! Thanks much!! If you wanna make building bikes your forte'>Take this course!! Dave- I learned about a lot of aspects of framebuilding I'd never considered before. Brian- Perfect intro to the trade and was very comfortable and personable class. Enjoyed the weekend! Thanks Steve. Brian- I learned basic bicycle framebuilding so I can build at my home. Dennis- Steve could write a book on builder history. The background stories are worth alot! Emmanuel- Thank You! God bless the BREW Crew! Ryan- Steve's knowledge of the bike industry is incredibly impressive and his patience as a teacher was the best- no question went unanswered.